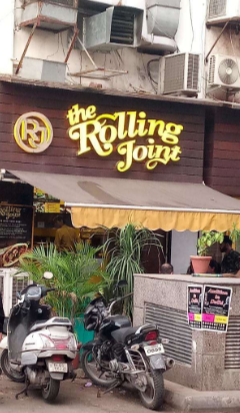 The Rolling Joint at Connaught Place is one of the best quick bite and pocket-friendly joint. It is located in M block, behind Odeon cinema.The food joint is easily accessible and in the heart of the city. This is a small eating joint with bright Yellow interiors with The Rolling Joint written in Yellow. The place seemed friendly, and the outdoor tables would have been lovely to sit in the day with pleasant weather, but certainly, it was not the case that day. The kitchen is divided into two floors, and it is clean and tidy. 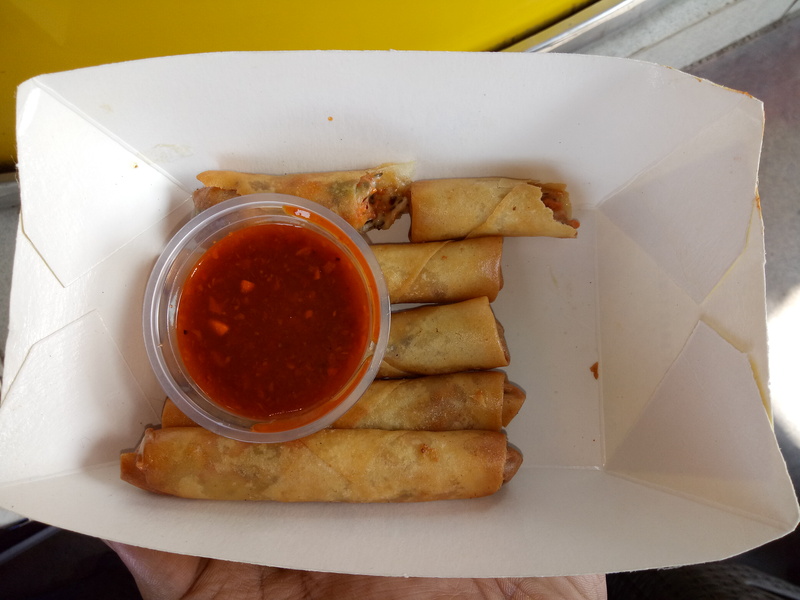 Chicken and Cheese Cigar Rolls -The rolls loaded with three types of cheese, and it is served with spicy roasted garlic dip. C.P. 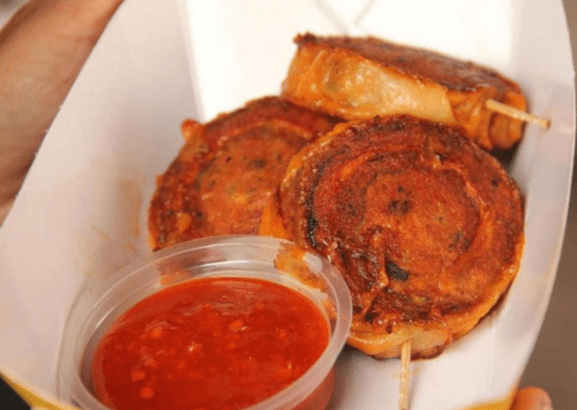 Spiral– The dish essentially is a type of swiss roll which is made out of chicken and lamb rolled into a thick roll with a layer of spinach, then sliced into chops. It’s then fried and served with roasted garlic dip. 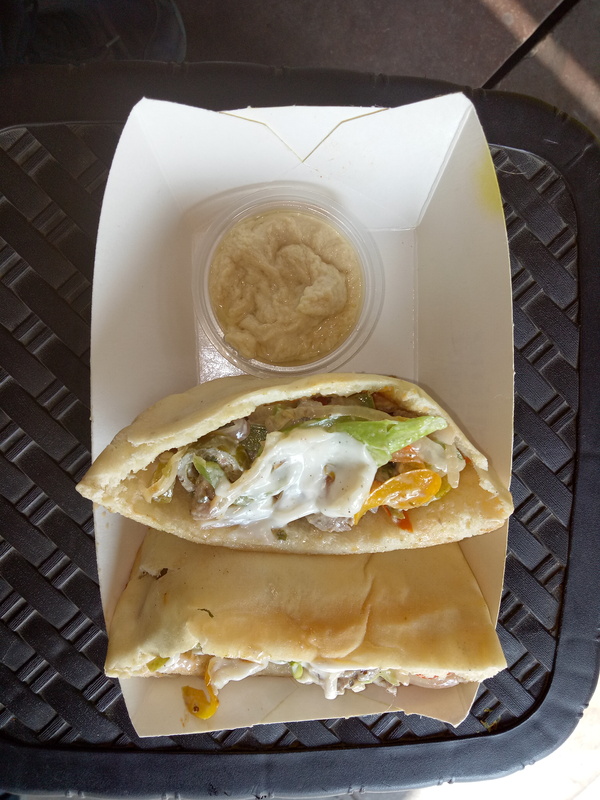 Gyro Pockets – They served these rolls in the form of pita pockets with hummus to go along with it.